for helping our students get one step closer to college! Nine deserving YWCP students received scholarships to attend various camps this past summer! From hiking, to digital photography, to science and math, these girls found out that learning can be fun! 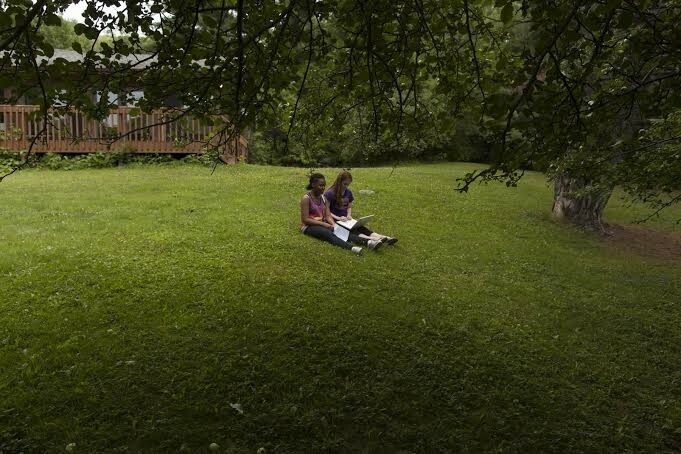 And along the way, they gained skills that will help them achieve their dream of college. Please enjoy the stories below from the students who benefitted from your generosity. Thank you again for being a part of this critical effort to close the academic gap for low-income students in Rochester! Don't Miss Your Special Invitation at the End! 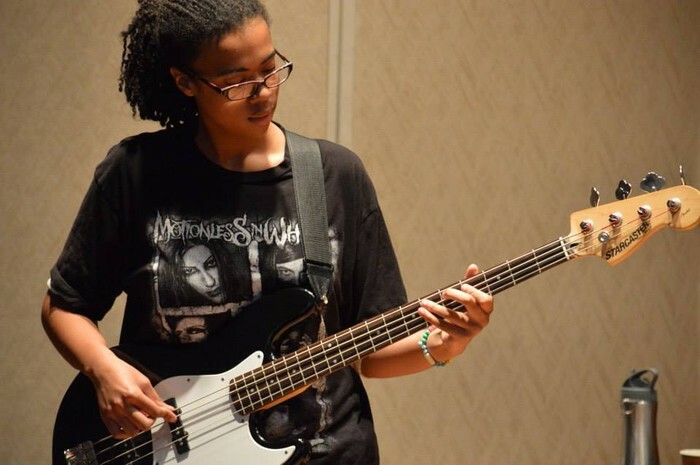 8th grader Jasmine Blow received a scholarship to attend Hochstein's "School of Rock" camp. Jasmine is an experienced musician who plays violin, cello, and bass guitar. 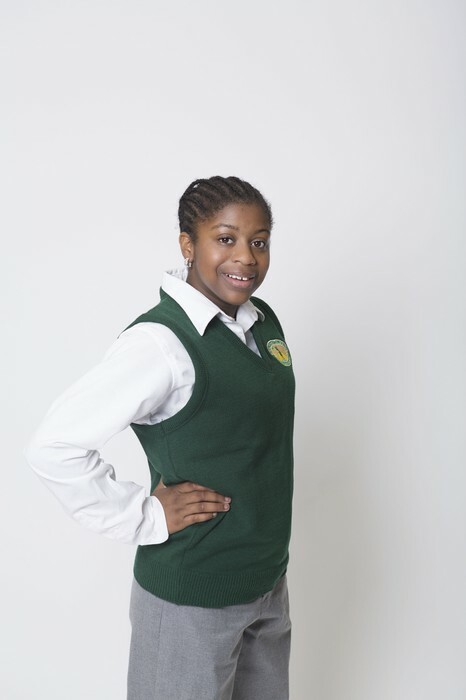 She performs in the YWCP chorus and orchestra, and also writes her own music! 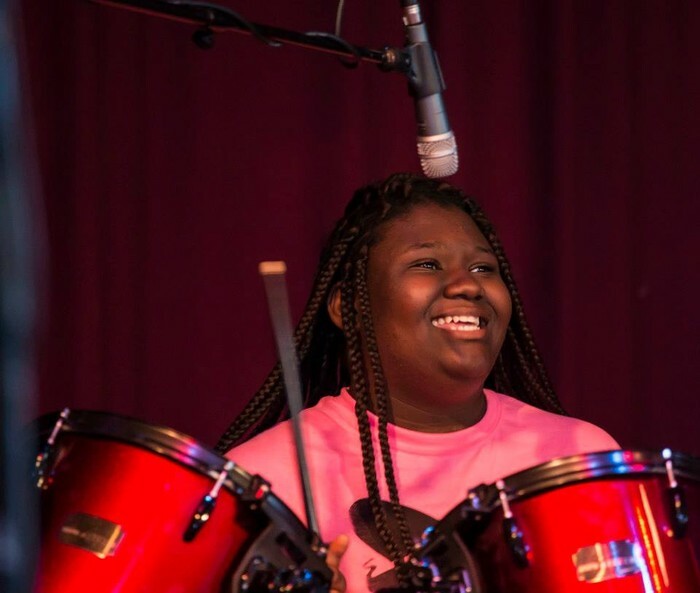 At School of Rock, Jasmine took a leadership role helping other girls explore their musical talents. Thanks to a 100w10 scholarship, 7th grader Harmony SeFranek was able to attend Mountain High Adventure Camp in the Adirondack Mountains. 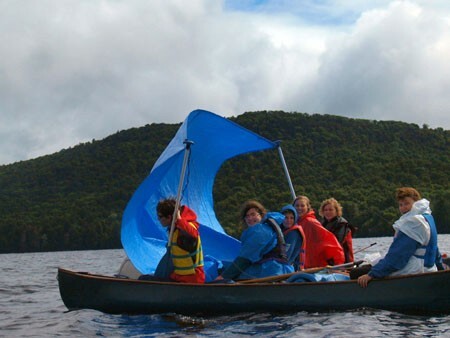 The six-day camping trip included rock climbing, a 10-mile hike into Avalanche Pass, and canoeing on Cranberry Lake! It was surely an adventure Harmony will never forget! 8th grader Shyquayze Gamble received a scholarship to attend "New Media: Digital Photography and Design," a camp held at Allendale Columbia School in Pittsford. Students learned how to use a DSLR camera and computer editing equipment to create cool images like this "levitation" photo. Shy said attending this camp was the best part of her summer! 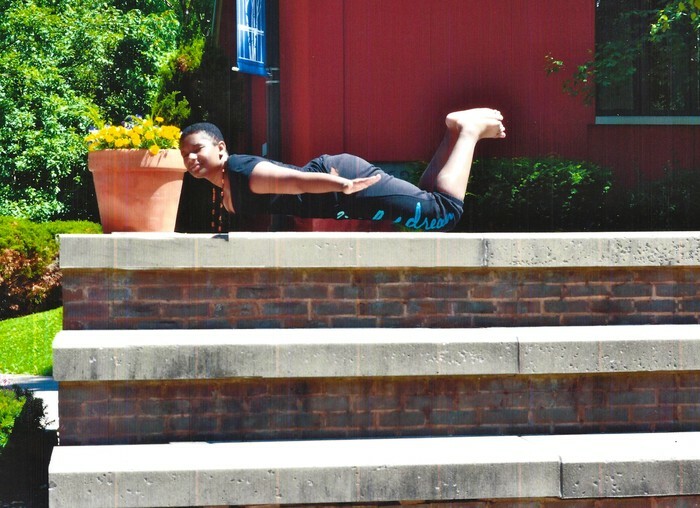 8th grader Elexuzz Davis received a scholarship to attend the YMCA's Camp Seneca for 8 weeks over the summer. Elexuzz said she looked forward to going to camp every day because of the friends she made. "I realized that camps are a great way to spend your summer because you're learning and having fun at the same time," she said. "It was the experience of a lifetime!" 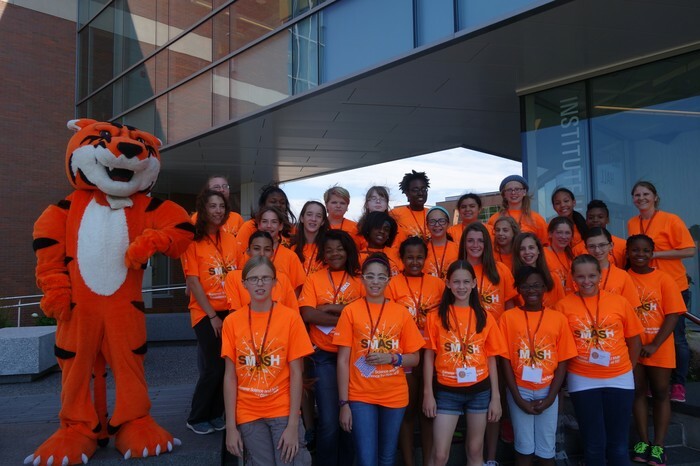 Thanks to a 100w10 scholarship, 7th grader Adriana Carbonel was able to attend SMASH, a weeklong camp for girls at RIT that teaches them how math can be used to solve problems in science. The camp is hosted by RIT's College of Science and Women in Science. Through hands-on experiments, Adriana tackled real-world problems using math, such as planning bus routes. 8th grader Chanele MacMillan received the Laura Rebell Gross Scholarship for $1,000 to attend Signature Music's camp in Syracuse. This camp took place over a week at Onondaga Community College. 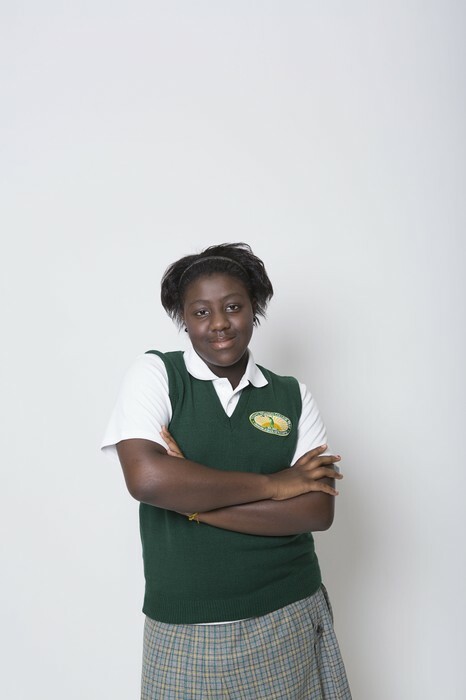 Chanele, who plays the saxophone in the YWCP band, took part in ensemble performances, jam sessions, and classes. 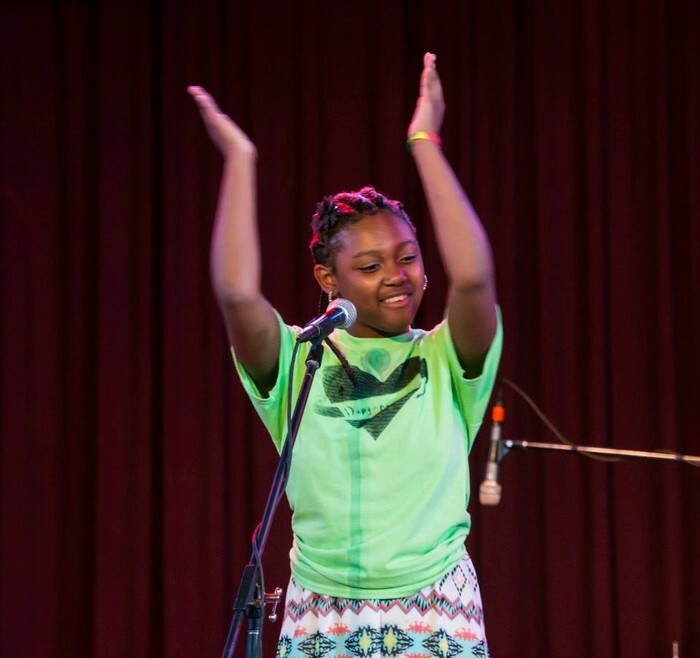 7th grader Ly-Naisha Curry received a scholarship to attend Girls Rock!, a weeklong camp for girls ages 8-16. Ly-Naisha's favorite part was learning how to write her own song lyrics and sheet music, and then performing it with the other girls. Ly-Naisha said she enjoyed being around other people who loved music as much as she did! 7th grader Amber Young also received a scholarship to attend Girls Rock! There she played the drums, performed in bands, and learned how to write collaborative music. Amber likes playing the drums because they provide the beat that holds the music together. She said the teachers really encouraged the students to write their own songs, which made Amber really proud. We are so grateful for all of the support that made these camp experiences possible, but our work is not done. Youth who live in poor households and neighborhoods are more likely to lose ground in math and reading over the summer than their middle-income peers. However, research indicates that more than half of the achievement gap can be explained by unequal access to summer learning opportunities. This year YWCP has added a new class of students, bringing the total to 252 students in grades 7-9. That means we have an even greater need for summer scholarships, which can help bring our students out of a life of poverty and onto the path to college! "100 Women to the 10th Power" is an effort to raise money to support summer learning for the students of YWCP. The campaign harnesses the collective giving power of women by inviting 100 women to serve as YWCP ambassadors and make contributions of $100 or more. Each ambassador invites 9 additional people to join her giving circle, also making a gift of $100 or more. 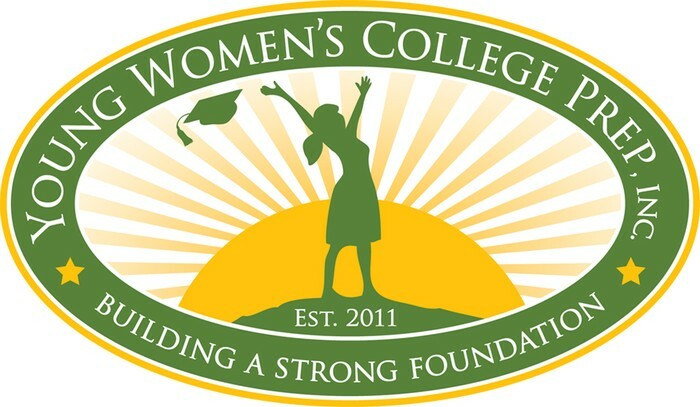 The result will be 1,000 women making a cumulative gift of $100,000 to support our young girls…a strong testament to the power of women to transform the lives of our students and our community! Donate to the 100w10 Campaign today. Your gift of $100 can truly make a difference in the life of a YWCP student. Click here to make a secure online donation. Spread the word. Forward this email to your friends and family and ask them to join your giving circle. If each person forwards this email to nine others, we can meet our $100,000 goal! Sign up for a tour. If you'd like to learn more about the students of YWCP and how your gift can make an impact on their future, we'd love to have you visit our school. Click here to inquire about scheduled tour dates. Join the committee. We are looking for volunteers who are interested in helping us recruit 100w10 Ambassadors. For more information, click here. Thank you to our incredible 100w10 Campaign Co-Chairs Angela Clark-Taylor and Cathy Thomas for all that you have done and continue to do for the students of YWCP! If you are already a member of a 100w10 giving circle or would like to learn more about it, we invite you to join us for a special lunch reception on November 7th at YWCP. Meet some of the students who have benefitted from the generosity of people like you, and hear about exciting new changes this year. Food and drinks will be provided. Please RSVP below. YWCP Charter School is Rochester's first and only all-girls public school. It opened its doors in August 2012 to its first class of students, and will grow over the next four years to serve more than 500 students in grades 7-12. YWCP is an affiliate of the Young Women's Leadership Network, which supports five highly successful single-gender schools in NYC and 11 affiliates across the country. The mission of the YWCP Foundation is to break the cycle of poverty for young urban girls by increasing their economic self-sufficiency through improved leadership skills, career awareness, college readiness, and college access. To accomplish this, YWCP Inc. creates, implements, and supports innovative programs that educate the whole girl - academically, socially, and emotionally.